Freedom from Health & Wealth is No Bull and comes from simple basics. We learned that three basics are the key to good health from the shamans we lived and worked with in Ecuador. The No Bull series looks at how fundamentals of health and wealth can eliminate worry and stress so you gain greater happiness, fulfillment, longevity and financial success. You can draw lessons from the life of Matt Haag who three years ago was working at McDonald’s for near minimum wages. Now at the ripe age of 22, he is a professional gamer earning nearly a million dollars a year. Yet he is stressed. The 1.5 million readers he has are mostly teens who are notoriously fickle. He gets tired sometimes but cannot quit. Age 22. Making millions and worried about it. Imagine that! When you depart from the basics, no matter how much you make or have, chances are your good fortune will create stress. You’ll worry. See part one of the No Bull series here. 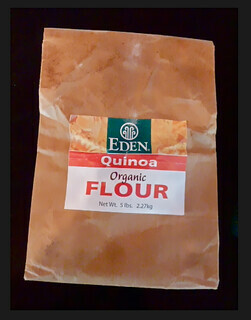 See why Merri and I we use quinoa flour instead of wheat and how this can help promote health and wealth. Matt Haag, is good at playing Call of Duty, a popular series of war games. To improve his skill, one of his major sponsors. Red Bull. has him on a special program of nutrition, exercise including yoga (learning how to relieve the stress that gaming has on wrists). Breakfast includes high-protein pancakes with ingredients like flax oil and chia seeds, whose balance of carbohydrates, fat and protein was created by a dietitian hired to teach him how to eat more healthily. Good for them. We have advocated this type of pancake for years. See our high protein pancake recipe here. Red Bull’s game studio even had him wearing a cap full of wires that scans his brain activity. The scans show how Mr. Haag functions under stress created by playing these tense combat games. This data helps Red Bull’s trainers and sports therapists create ways to help him remain in a state of high concentration. Here is the rub. What Mr. Haag learns about how to eliminate stress is not likely to be shared because Red Bull is an energy drink. The sponsors want Matt to win so they can sell more energy drinks. The problem is the calm and quicker reactions that come from these drinks may not be be self sustaining. Part of Mr. Haag’s success may also bring his downfall. A New York Times article says: As Mr. Haag was growing up in the Chicago area, his parents did not need to worry about where he was on the weekends: He was usually upstairs playing video games. Parties made him anxious. And instead of marijuana or alcohol, the sugary rush of an energy drink was his drug of choice and still is. In other words Mr. Haag spends many hours at a time, sitting in tense situations drinking sugary, possibly high caffeine drinks. The human body can perform miracles when it is in the state of relaxed concentration. Relaxed concentration is often called being in The Zone. These types of drinks… like coffee, do work. Here are parts of the abstract from a study posted at the US National Library of Medicine for the National Institute of Health entitled “The effects of red bull energy drink on human performance and mood” (1) says: The effects of Red Bull Energy Drink, which includes taurine, glucuronolactone, and caffeine amongst the ingredients, were examined over 3 studies in a total of 36 volunteers. Assessments included psychomotor performance (reaction time, concentration, memory), subjective alertness and physical endurance. When compared with control drinks, Red Bull Energy Drink significantly (P < 0.05) improved aerobic endurance (maintaining 65-75% max. heart rate) and anaerobic performance (maintaining max. speed) on cycle ergometers. Significant improvements in mental performance included choice reaction time, concentration (number cancellation) and memory (immediate recall), which reflected increased subjective alertness. These consistent and wide ranging improvements in performance are interpreted as reflecting the effects of the combination of ingredients. Is this drink induced state one of relaxed concentration, where the alertness and mood last? What price does this energetic state extract, in the short and long term? The abstracts below show that energy drinks may not be healthy or safe, even short term. ABC News: (2) Swedish officials are investigating the deaths of three young people who are believed to have been drinking Red Bull. Two of the people who died had used Red Bull as a mixer with alcohol, while the third apparently drank several cans of the energy drink after a strenuous workout and later died of massive kidney failure. Fox News: (3) One can of Red Bull may increase the risk of heart damage study says. A study of university students between the ages of 20 and 24 years old found that drinking one sugar free can of the caffeinated energy drink increased the “stickiness” of the blood and raised the risk of blood clots forming. The Australian students, who were targeted in the study, showed a cardiovascular profile similar to that of someone with heart disease after drinking one can. Perhaps Matt Haag has a reason to worry. His online viewers that create his super income are fickle. His extraordinary reflexes maybe also if they are burned out by too much forced energy. The law of diminishing returns often kicks in. More and more of the same stuff is required to get the same benefit. Coffee is a good example. The first cup is a great booster. The second cup does not do so much and by the third cup some jitters have set in. The forcing creates a negative downwards spiral. A report about concentration entitled “Positive Emotions Trigger Upward Spirals Toward Emotional Well-Being” by Barbara L. Fredrickson and Thomas Joiner at University of Michigan and Florida State University sums this up: The broaden-and-build theory of positive emotions predicts that positive emotions broaden the scopes of attention and cognition, and, by consequence, initiate upward spirals toward increasing emotional well-being. Music is a basic to good health and wealth. Along with good food, good exercise and good sleep, music uplifts and energizes without leaving a hangover and has so much variation that the law of diminishing returns finds it hard to kick in. I use music to create a state of relaxed concentration when I write. Call the feeling smooth and easy, focused but not up tight. A positive upwards cycle is self sustaining and reinforces itself. Normally I use Baroque music, but at times, especially when I want to write from the deepest portions of my heart, I seek something that is uniquely mellow to me. I have an armory of Golden Oldies that evoke positive emotions. When I was young something good happened as I was hearing these songs. I don’t recall the events, but can feel the positive emotion. It’s hard to overdose on uplifting music. Need more energy? Stick to the basics. You can get a quick fix from an energy drink, but regular use may create more problems than solutions. The basics, good food, good exercise and good sleep are the fundamentals that make sure you have better health and everlasting wealth.